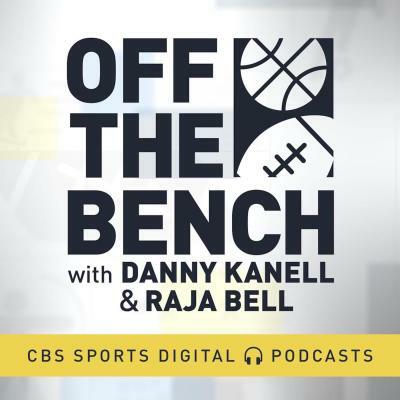 On Off the Bench with Kanell and Bell hosts Danny Kanell and Raja Bell bring their professional sports experience to podcasting. Danny and Raja combined to come off the bench 241 times in their 18 years in the pros, now they're coming off the bench and behind the microphone 5 times a week to give raw sports insight from a former player's perspective. Raja Bell is joined by guest host Tommy Tran to breakdown the NBA playoffs including Kevin Durant and company silencing the Clippers, the Celtics completing the sweep of the Pacers, the Thunder falling behind 3-1 to the Blazers and Russell Westbrook's antics with the media. Next, the guys discuss the league's relationship with refs following a double-ejection in Saturday's Sixers-Nets matchup. Raja and Tommy react to the Raiders sending scouts home prior to the draft plus Jalen Ramsey's response to Tom Coughlin. Finally, a new look for Russell Wilson, another Yankees injury and NBA playoff picks. Spoiler Alert! The last 45 seconds of the episode discusses Game of Thrones. Kanell and Bell react to the release of the NFL schedule and discuss what players immediately look for. The guys also discuss James Harden's heroics stretching into the playoffs before breaking down another bat 'flip' and clearing of the benches in baseball. Raja confirms he will not be joining David Griffin in the Pelicans' front office but does offer his thoughts on New Orleans' chances of keeping Anthony Davis. Lastly, spoofing Russell Wilson and picking Thursday night in the NBA. Kanell and Bell react to a busy night in the NBA playoffs, including the Blazers taking a 2-0 series lead over the Thunder with a focus on Dame vs. Russ, the Raptors and Kyle Lowry responding by blowing out the Magic, and the Nuggets using a brilliant 4th quarter from Jamal Murray to even their series with the Spurs. The guys chat more on Boogie Cousins' injury now that he is officially out indefinitely, as well as what's the latest with the Lakers. Danny and Raja welcome Pete Blackburn to guide them through the NHL playoffs. We end with Wednesday night NBA picks and our weekly shoe showdown. Kanell and Bell react to the Clippers historic comeback against the Warriors and the impact of losing Boogie Cousins for Golden State. The guys also discuss Russell Wilson's new contract with the Seahawks and Joel Embiid's flagrant foul on Jarrett Allen. Danny and Raja breakdown Zion Williamson declaring for the NBA Draft and something that other sports leagues can copy from hockey!? Finally, NBA Game 2 previews. Kanell and Bell react to Tiger Woods winning the Masters and his first major since 2008 (0:20). The guys discuss how incredible his comeback has been and if he will catch Jack Nicklaus. Danny recaps his experience at the Masters (16:00), before analysis of the NBA Playoffs (21:00). We take a look at Paul George's injured shoulder, Kyle Lowry's sluggish start to the postseason, Ben Simmons' struggling and calling out fans, and Steph going off. Finally, it's self-imposed deadline day for Russell Wilson (40:00), while Luke Walton looks to be the new Kings coach (45:00). Kanell and Bell discuss Day 1 of the Masters (:30) and look ahead to Day 2, focusing on Tiger's performance, Brooks Koepka's stardom, a surprising Phil Mickelson, and a struggling Jordan Spieth. The guys react to more social media drama from Steelers and ex-Steelers (21:45) as well as Nick Bosa's activity on Twitter. Next, Danny and Raja chat more on how news is spread these days in relation to how Dave Joerger found out he was fired by the Kings (33:30). Finally, Masters weekend predictions (40:30). Kanell and Bell are pumped to breakdown all things Masters (1:00), including Dustin Johnson's need for another major, Jordan Spieth's previous success, and Rory's successful season to date. The guys then shift focus to the NBA (20:30), reacting to Raja's Rookie of the Year pick dropping 40 in the regular season finale, then analyzing the East and West playoffs. Danny and Raja discuss Dwayne Haskins not attending the NFL Draft (31:30) and end with some Tiger talk (37:30). Kanell and Bell react to Magic Johnson's surprising decision to step down as president of the Lakers (:30), before analyzing what's next for the organization. The guys then discuss the final home games for Dwyane Wade and Dirk Nowitzki (17:00). Next, up a Masters lookahead focusing on Danny and Raja's confidence in Tiger Woods (24:00). CBS Sports NHL writer Pete Blackburn joins to preview the NHL playoffs. And finally, Giannis turns down Space Jam 2 (37:00). Kanell and Bell react to Virginia winning their 1st ever hoops title (1:00) while focusing on the Cavaliers' redemption story, De'Andre Hunter's huge night and Tony Bennett breaking through. Next, the guys are joined by CBS Sports NBA writer James Herbert (15:30) to give an inside look at the legendary career of Dirk Nowitzki. Danny and Raja analyze a players poll (28:00) which labeled Russell Westbrook and Draymond Green as the NBA's most overrated and James Harden as the league's MVP. Finally, Aaron Rodgers responded to last week's 'smear attack' (42:00). Kanell and Bell are joined by Reid Forgrave from Minneapolis to discuss the end of UVA-Auburn (1:00), before diving into previewing tonight's National Championship Game (7:00). The guys also react to claims that Zion Williamson was paid by Nike to pick Duke (12:00). Next, Danny and Raja analyze Antonio Brown's social media jabs towards Juju Smith-Schuster (22:30), Nick Saban's comments on early entrants in the NFL draft (28:30) and the benches clearing in Reds-Pirates yesterday (36:30). Finally, an early Masters look (41:30) and title game picks. Kanell and Bell are joined by Matt Norlander and Tim Doyle from Minneapolis to breakdown the Final Four including intriguing storylines, the lack of freshmen talent, the coaches and matchups. The guys discuss Sixers-Bucks or more like Embiid-Giannis, before diving into a Bleacher Report article detailing how egos split up Aaron Rodgers and Mike McCarthy. Next, some Eastern Conference playoff discussion and analysis of the Jets new jerseys. Finally, Final Four picks and Raja's new job! Episode 265: BIG3 coming to CBS Sports, will Raja get involved? Kanell and Bell discuss another ejection from Gregg Popovich (2:30), the red-hot Rockets (9:30) and Doc Rivers as a Coach of the Year candidate (14:30). The guys then analyze whether the Nationals should have thrown at Bryce Harper (19:30), before dissecting the battle for the top pick in the NBA Draft (24:30). Big news next as CBS Sports and the BIG3 agree to a television rights deal to air games this summer (29:30). What's Raja's interest? Finally, Shaq or Giannis..at age 24 (43:00)? Kanell and Bell breakdown Russell Westbrook's 20-20-20 statline last night vs the Lakers, the Warriors beating the Nuggets and fines for three Golden State stars. The guys then discuss Russell Wilson's desire for a new contract and the Raiders working out some top QBs. Danny and Raja analyze what went wrong for the AAF and comments on coaching from Geno Auriemma. Finally, reaction to Bryce Harper's bat flip and a not very audio-appealing sneaker showdown (check out social media for those clips)! Kanell and Bell discuss Zion Williamson's earning potential as he looks to sign a shoe deal (3:00). The guys discuss OBJ being introduced by the Browns (13:30), Ben Roethlisberger's radio show (19:00) and Julio Jones' contract (24:00). Danny and Raja dissect John Calipari's lifetime contract with Kentucky (28:30) and Bryce Harper's return to Washington (33:30). Finally, could LeBron play in the 2020 Olympics (40:00)? Kanell and Bell react to a fantastic Elite Eight (1:30) including Duke going down, the end of Zion's college career, Coach K's performance, and how one-and-dones have hurt the Blue Devils. The guys then discuss LeBron being shut down by the Lakers (18:00) and the failure of his first season in Los Angeles. Next, another officiating controversy to dissect in the NBA (30:30), before an update on Tiger Woods leading up to the Masters. Finally, Tankathon Monday in The Association (40:30). Episode 261: Is Zion Williamson guaranteed to be an NBA superstar? Danny Kanell and Brady Quinn react to Thursday's Sweet 16 games (4:00) including Florida State's exit and questionable coaching and calls in Tennessee-Purdue. The guys also further discuss pass interference rule changes (11:00), the Cardinals options at No. 1 (21:00) and Baker Mayfield's potential second-year jump (26:00). Danny and Brady analyze if Zion Williamson is a lock to own the NBA (29:30), before finishing with some breakdancing talk (46:00). Danny Kanell is joined by David Samson to recall Opening Day memories (5:30) including a few to forget with the Marlins, the Yankees and Red Sox fighting for AL East supremacy (11:30) and the impact of Bryce Harper's exit in DC (16:30). 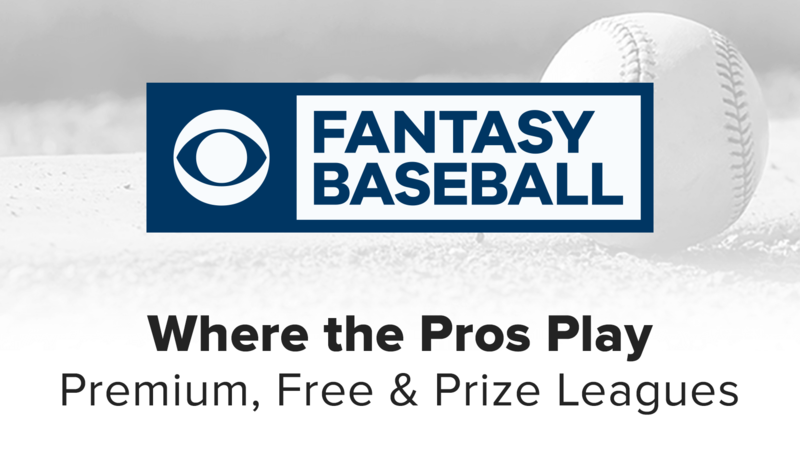 The guys then discuss how analytics impact the free agent market (22:00), why the MLB fails to market its stars (27:00), before issuing World Series predictions. Danny then discusses OBJ in Cleveland (32:00) and Jalen Hurts at Oklahoma (35:30). Danny Kanell and guest host Tommy Tran chat fashion to kick things off, which is followed by a dissection Kliff Kingsbury's comments (5:30) on both Josh Rosen and Kyler Murray from the NFL's owners' meetings. The guys also chat the Giants' evolving quarterback plan (13:00) and then focus on the massive change to the pass interference rule in the league (19:00). Next, Chip Patterson joins to break down the Sweet 16 (29:00) including Florida State's chances of upsetting Gonzaga and the status of Kentucky's PJ Washington. Finally, thanks to Eminem for listening to the show (42:00). Danny Kanell is joined by David Samson to discuss Jacob deGrom's extension (4:00), the MLB offseason, Mike Trout's decision to re-up with the Angels and Noah Syndergaard's critical comments of the Mets organization. Next, David shares Ichiro stories (24:00) after spending last week in Japan to watch his final MLB series. Then, Gary Parrish joins Danny for an NCAA Tournament breakdown (30:30) including how Duke can be beaten. Finally, the never-ending drama in Pittsburgh adds another social media chapter (38:30). Danny Kanell and Tommy Tran are joined by Matt Norlander to discuss the opening weekend of the NCAA Tournament (1:00) with a focus on Duke barely edging UCF and Ja Morant's impressive 2-game performance. Danny and Tommy also discuss the outrage around Tom Izzo berating a player during a tourney game (17:00) and Rob Gronkowski announcing his retirement (29:00). Finally, Lane Kiffin doesn't appear to be a fan of the transfer portal (39:00). With Danny out in Vegas, former NBA All-Star and NCAA Champion Rip Hamilton joins Raja to remember some memorable March moments at UConn, while also taking a look at stars in this year's tournament. Kanell and Bell discuss D'Angelo Russell's dominant 4th quarter performance leading the Nets to an epic comeback victory last night (2:30), before reacting to March Madness tipping off with the First Four (9:00). The guys then focus on a possible trend of college basketball players skipping the postseason in order to prep for the NBA Draft (14:00). Danny and Raja shift to college football (21:00), examining Tate Martell's transfer waiver, Nick Bosa's health and Dwayne Haskins' hype. Lastly, we talk about load management in the NBA (34:00), a day after both LeBron James and Giannis Antetokounmpo sat out Lakers-Bucks. Kanell and Bell breakdown brackets of all kinds before discussing how March could impact pro prospects that will be featured on college basketball's biggest stage (5:00). Next, Danny and Raja try to guess what Dave Gettleman's plan is for the Giants (15:30) and react to breaking news of Mike Trout's record-setting deal with the Angels (23:30). The guys analyze the Spurs' success (27:30) and Isaiah Thomas' return to Boston (34:00). Finally, some Fortnite chatter (38:00). Kanell and Bell react to the March Madness field (1:30) with a focus on the ACC's dominance, mid-majors that didn't make it and the likelihood of Duke winning the title. Danny and Raja then discuss takeaways from Tiger Wood's performance at TPC Sawgrass (17:00) before dissecting the Dolphins' plans to tank in 2019. Next, a debate between Joel Embiid and Giannis Antetokounmpo as to who you would want to start a team (27:30), followed by analysis of LeBron's late-season health and complacency. Finally, a breakdown of some epic tanking (39:30) and bad umping. Kanell and Bell analyze Zion Williamson's incredible return for Duke in the ACC Tourney (2:00), breaking down his pro potential, his shoe selection and the tripping incident involving a Syracuse player. The guys react to breaking news of Kareem Hunt's suspension (11:00) and the risk the Browns are taking with Odell Beckham Jr. Danny and Raja talk Tiger in The Players (24:00) and the Raptors trying to convince Kawhi Leonard to stay in Toronto (28:00). More on Nick Foles changing the locker room culture in Jacksonville (37:30), number swaps and home run derby incentives to finish the show. Kanell and Bell start the podcast by talking hockey and fighting in the sport (1:00). The guys then dive into the Raiders offseason (5:00) and Odell potentially wanting a new contract in Cleveland (14:00). Next, Danny and Raja analyze Kyler Murray's Pro Day (18:30) and the Warriors beating the Rockets last night (23:30). We address Lamar Jackson's Instagram video he apologized for (29:00) and the safety market in the NFL right now. Finally, Raja shouts out Utah (37;00). Kanell and Bell react to a wild day in the NFL with Odell Beckham Jr being dealt to the Browns (2:00) and Le'Veon Bell signing a free agent contract with the Jets (13:00). The guys then preview Kyler Murray's Pro Day (21:00) and update us on Russell Westbrook's incident in Utah the other night (30:00). Finally, Danny and Raja discuss the college admissions bribery scandal that stole headlines yesterday (37:00). Episode 250: Russell Westbrook threatens courtside fans, but was he justified? Kanell and Bell react to the free agency frenzy around the NFL (1:00), focusing on deals for Nick Foles, Landon Collins and the Raiders big-spending. Next, the guys react to the situation involving Russell Westbrook and some fans in Utah last night (17:30), before analyzing a fight between Serge Ibaka and Marquese Chriss. Danny and Raja discuss the difficulty of coaching the Warriors (29:00) and the job Steve Kerr has done during his tenure. We stay on brand (39:30) and chat about Lou Williams breaking the NBA's all-time record for scoring 'off the bench'. We end with Iditarod talk! Danny Kanell and Pete Prisco discuss the Steelers trading Antonio Brown to the Raiders, how Oakland could be sneakily competitive and the failures of Pittsburgh to capitalize with AB and Le'Veon Bell (1:00). The guys also react to other news and notes from NFL Free Agency while taking a look at the Giants' plan (13:00). Danny and Pete chat about the Lakers tanking efforts (17:30), if they remain an offseason destination and how LeBron's legacy could be affected based on this year. We cover Dirk's comments on today's NBA (26:00), Will Wade's suspension from LSU (29:00) and Alex Hornibrook's transfer to Florida State. Finally, James Dolan talk (41:30). Danny Kanell recaps a wild night of NFL reporting that had Antonio Brown being traded to the Bills (1:00), before that rumor was squashed. Danny discusses why he still thinks the Steelers will struggle to trade AB. We welcome Chip Patterson to chat college hoops (16:30) with a focus on Zion, the SEC and Buffalo. Next, Jamey Eisenberg joins DK (29:00) to talk more about Antonio Brown, Le'Veon Bell and their potential landing spots. Kanell and Bell discuss LeBron James passing Michael Jordan for 4th on the NBA's all-time scoring list (4:30), debating the pairs' contrasting style and why Bron isn't idolized the same way MJ was. The guys also analyze the Lakers continued struggles and blame being placed on 'fake' trade deadline rumors. Next, Danny and Raja hit on potential trades in the NFL (21:00) involving Antonio Brown and Josh Rosen, before discussing the matchup between the lowly Suns and lowly Knicks (32:30). Finally, we talk about Bryce Harper's recruitment of Mike Trout (40:45). Episode 246: What's it like being cut? Kanell and Bell discuss the Celtics rebound win over the Warriors (1:00) and the criticism that Kyler Murray is facing for how he fared away from the field at the NFL Combine (9:00). Next, Danny and Raja breakdown their experiences and feelings of being cut (19:30). The guys talk Duke and Zion (27:30) before delving into why college stars seem to struggle from the free throw line (33:00). Finally, a conversation of Trevor Lawrence and his intention to play out his years at Clemson (40:00). Episode 245: Has KD officially passed LeBron as the NBA's best? Kanell and Bell discuss Danny's horrific travel experience (1:00), then dive into the Cardinals' decision and what to do with the number one overall pick, while considering the future Kyler Murray and Josh Rosen (7:00). Next, the guys break down Danny's top draft prospects and comment on how much guys should show on tape following their final collegiate seasons (15:00). Next, Danny and Raja analyze Kevin Durant's place among the game's best (21:00) and LeBron's leadership or lack thereof. Football chatter returns as we analyze Nick Foles potentially signing with the Jaguars (28:00) and the silly nature of the franchise tag (33:00). Finally, none other than a focus on Kyrie Irving's mood and comments (41:30). Raja Bell and guest host Tommy Tran are joined by Ryan Wilson from the NFL Combine (1:00) to discuss Kyler Murray potentially leapfrogging Dwayne Haskins, DK Metcalf's insane performance, the defensive line class and whacky questions that teams pose to prospects. The guys then discuss Kyrie Irving's tipping point in Boston (17:30) and Adam Silver's perceived unhappiness of NBA players. Next, Raja and Tommy talk Trae Young's ejection (31:30) and how refs continue to make poor decisions. Episode 242: Kyler Murray measurements are in, Goodbye Hana! Kanell and Bell are joined by Pete Prisco from the NFL Combine to react to Kyler Murray's measurements and discuss QB situations in Arizona, Philadelphia and New York (1:00). Next, Danny and Raja discuss Anthony Davis' minutes restriction (20:00), the Lakers' playoff push and another loss for the Celtics. Then, it's the final edition of Socially Relevant with Hana Ostapchuk (we'll miss you Hana!) (30:30). We close with Johnny Manziel and Fran McCaffery talk (38:00). Raja Bell and guest host Tommy Tran are joined by CBS Sports draft expert Ryan Wilson to preview the NFL Combine from Indianapolis (2:00), including a look at quarterbacks, edge rushers and the Cowboys' draft strategy. Next, Raja and Tommy talk Duke losing without Zion (16:00) and the Celtics continued unraveling (21:30). The guys react to a young fan touching Russell Westbrook during a game (29:30) and finish up a discussion on Trae Young's rapid rookie improvement (33:00). Episode 240: What's important at the NFL Combine? Kanell and Bell react to another Lakers' loss and more comments from LeBron regarding distractions associated with the team (1:00). The guys then analyze when Zion should return (10:30) and the importance of certain aspects of the NFL Combine (14:30). Next, the guys hear from Hana on what's socially relevant (21:30) and break down if the Bucks are for real (34:00). Episode 239: Is LeBron hypocritical for questioning Lakers' priorities? Kanell and Bell react to LeBron James' comments calling out the young Lakers for their sense of urgency and focus on basketball (1:00), before analyzing the ever-developing drama with the Boston Celtics (12:30). The guys then discuss basketball beefs and Draymond Green switching to Rich Paul as his agent (23:00). Next, Hana let's us know what's socially relevant in sports (28:30), before analyzing Dwayne Haskins decision to throw at this week's combine (36:30). Kanell and Bell react to another poorly officiated game in the NBA and the Rockets calling out ref Scott Foster (5:00), before diving into the league's reported interest in lowering the age limit from 19 to 18 for players to enter the NBA Draft (11:15). The guys then further discuss Zion Williamson and what's next for him on the court and in the shoe game (18:30). Hana helps us out with what's socially relevant in sports (27:30), before 'The Shop' talk featuring AD and AB (35:30)! Kanell and Bell react to Zion Williamson suffering a mild knee sprain and the impact on his future and the college game (1:00). The guys then discuss continued curious comments by Kyrie Irving (12:30) and the Sixers decision to use precaution and temporarily shut down Joel Embiid (19:30). Next, Raja re-ranks his Top 10 NBA players up through the All-Star break (24:30), before chatting about Big Ben's leadership (28:30). Finally, Leftovers with a return of the NBA and Rockets-Lakers tonight (34:00). Kanell and Bell react to Manny Machado finally inking a deal with the Padres and the repercussions of the mega-contract (1:00). The guys also discuss Antonio Brown and the Steelers agreeing to move on from each other (10:30) and CJ Anderson's comments that Todd Gurley might have been more injured than was initially reported (17:15). Danny and Raja then breakdown LeBron's health and relationship with Luke Walton (22:45), before Leftovers with tales of Tim Donaghy (30:15)! Kanell and Bell breakdown Raja's weekend in Houston (1:00), before diving into Antonio Brown's latest Instagram antics' (3:00), and big-name trade requests in the NBA (11:30). The guys then react to news that Kyler Murray might not throw at the combine (18:30) and that OBJ was and could still be on the trade block (24:00). Hana lets us know what's socially relevant in sports (26:30), before we talk a potential lockout/strike in baseball (35:00). Finally, Leftovers (42:00)! Danny Kanell discusses the NBA All-Star Game and how bad and different the product has become from normal basketball (1:00), before reacting to Matt Kuchar paying his caddie $50,000 (12:00). Pete Prisco then joins to chat about Antonio Brown's Twitter antics (16:00) and why Zac Taylor might be in over his head in Cincy (23:30). Finally, Leftovers! Kanell and Bell issue a 'mountain lion attack' update (1:00), before discussing LeBron James' desire to become an NBA owner (6:00) and what intrigues them about All-Star Weekend (17:30). The guys issue event picks, before reacting to news that NFL owners approached Adam Silver (28:30), inquiring about becoming the league's commissioner. Kanell and Bell discuss Matt Kuchar's caddie controversy and evaluate who is right in this situation (1:00). Next, the guys react to Steve Kerr's ejection (15:00) and James Harden extending his scoring streak. Danny and Raja break down Joe Flacco to the Broncos (27:20), and finish with Leftovers (30:45)! Kanell and Bell react to Antonio Brown's latest trade request (1:00) as well as the Lakers Tuesday night loss to the Hawks, which magnified their recent struggles (13:00). The guys then discuss the Celtics continuing to own the Sixers (18:00) and the credibility or lack thereof for NBA refs (21:00). Danny and Raja analyze Kliff Kingsbury's comments about Josh Rosen remaining the Cardinals' 'guy' (28:45), before Leftovers with a focus on Kevin Durant's future (40:30). Kanell and Bell react to Kyler Murray's decision to pursue the NFL and Danny explains why football still might not be a done deal (1:00). The guys also discuss Russell Westbrook and James Harden continuing their streaks (11:30), before talking about tampering in the league involving Anthony Davis, a Bucks owner, Magic Johnson and Ben Simmons (17:30). Leftovers focuses on Clemson possibly accidentally giving players PEDs (26:00). Episode 229: Ben Simmons shoots a real 3! Kanell and Bell discuss the commitment of top recruit Anthony Edwards and the popularization of reclassification in college hoops (1:00). The guys then discuss the new-look Sixers and breakdown the shooting of Ben Simmons (9:30), before reacting to Magic Johnson's comments on the trade deadline. Next, Danny and Raja analyze the first weekend of the AAF (20:50) and Justin Fields being granted immediate eligibility at Ohio State (26:55). Finally, Leftovers where Raja shares an epic trade story from his time with the Cavs (30:40). Kanell and Bell discuss the televised NBA All-Star Draft, the Lakers post-deadline possibilities and what LeBron is still chasing in the league. Next, the guys react to the trade deadline including the Sixers moving on from Markelle Fultz, how the East was impacted, and the Pelicans decision to hold on to Anthony Davis. Next, Danny and Raja are joined by Hana to talk about the Chiefs' shutting down Patrick Mahomes' hoop dreams. Finally, Leftovers! Danny Kanell is joined by Brad Botkin to break down all things NBA on trade deadline day. They discuss Kevin Durant's beef with reporters, the Lakers odds of landing Anthony Davis on Thursday and how Tobias Harris impacts the landscape of the Eastern Conference. Then, Danny discusses quarterback situations in Philadelphia and Oakland, focusing on the contracts of Nick Foles and Derek Carr. Danny Kanell and guest host Tommy Tran embrace the old debate of Brady vs. Belichick (5:00) before diving into the coaching trees of Bill Belichick and Sean McVay (12:00). Next, the guys discuss the Lakers' pursuit of Anthony Davis and how it is affecting the current roster (18:45), before breaking down the 'other' National Signing Day (27:00). Finally, Leftovers (31:15)! Raja Bell and guest host Tommy Tran discuss the longevity of the Patriots' dynasty and when it will actually end (1:00), what the Lakers have to part with in order to acquire Anthony Davis at the deadline (7:00), and if Lonzo Ball is a fit in Phoenix (13:00). The guys then analyze if James Harden's style is conducive for championships (16:30), the NBA adding Dirk and D-Wade to the All-Star game (22:00), and Kristaps' 'stay woke' message for Knicks fans (25:15). Raja and Tommy react to Carson Wentz admitting he could be a better teammate (29:30) and Zion Williamson he still would have chosen college if given the pro option (35:30). Kanell and Bell recap all angles of Super Bowl LIII and the Patriots capturing their 6th Super Bowl (1:00), including Sean McVay being outcoached by Bill Belichick, Jared Goff and Todd Gurley's underwhelming performances and if Julian Edelman was the deserving MVP. Next, the guys talk halftime show, commercials and what's next for the Pats (18:15). We switch it up to NBA (30:50), as Danny and Raja react to Lakers' locker room disarray, and comments made by Anthony Davis' dad. Finally, Leftovers (41:35)! Kanell and Bell are live from Atlanta to wrap up Super Bowl week with a slew of superstar interviews including Patrick Mahomes on his breakout season, Luke Wilson on golfing in Hollywood, Emmitt Smith on his Super Bowl experience, Christian McCaffrey on advice for Kyler Murray and Ryan Shazier on overcoming adversity. Kanell and Bell give an Atlanta update before discussing takeaways from Roger Goodell's press conference (2:30) in which he finally addressed officiating issues in the league. The guys also chat Sean Payton's post NFC Championship woes (11:00), Tom Brady's possible extension (12:00) and expectations for Jared Goff in Super Bowl LIII (17:00). Then, Danny and Raja are joined by a set of tight ends, Greg Olsen (21:30) and Travis Kelce (30:40). Kanell and Bell discuss how Atlanta is treating them, why Clinton Portis taking a pregame shot of henny isn't a big deal (1:30), what to expect from Todd Gurley on Sunday (7:30) and the impact of soon-to-be departing coaches will have for the Pats and Rams (13:30). Next, Bill Cowher joins the podcast to discuss preparing for the Super Bowl, the Pats' dynasty and more (17:00). Finally, Leftovers (29:15)! Kanell and Bell are in Atlanta on Radio Row all of Super Bowl week and they discuss the circus that surrounds the game, the vibe of the city and how players remain focused. The guys analyze the significance of bulletin board material and the texting relationship between Sean McVay and Bill Belichick. Next, Danny and Raja dive deeper into Anthony Davis' trade request, examining potential tampering and potential trade partners. Next more on the Super Bowl, as Kanell and Bell talk about Rob Gronkowski's future and the importance of experience. Finally, Leftovers! A split show today between our Fort Lauderdale studios and Radio Row in Atlanta for Super Bowl week. First, Raja Bell and Casey Keirnan break down Anthony Davis' trade request (:45) and whether or not Gordon Hayward is a liability for the Celtics (11:15). Next, it's Danny Kanell and Pete Prisco from the ATL breaking down Super Bowl storylines (16:00). Kanell and Bell join forces together to close out the show as they discuss the officiating angle that still hangs over SB week (28:30), while recalling their career experiences in Atlanta (36:20). Finally, Leftovers (38:30)!